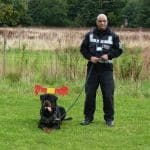 Pride GB provides a variety of security services in Walsall including mobile security, security dogs, static security, keyholding, and alarm response. Whether protecting storage areas, industrial estates, building sites, warehouses, or retail parks, the Pride GB security team are always well equipped for a range of assignments in Walsall and across the West Midlands. Pride GB provides K9 security services in Walsall. As one of the few security companies that is accredited to use security dogs, we truly raise the bar. 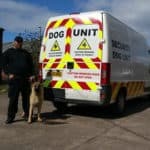 Our expertise and NASDU qualification make our security dogs and handlers an extraordinarily effective deterrent against intruders. Pride GB Security Services offers highly skilled static security officers to safeguard your premises. Our officers have the skills necessary to undertake any assignment at any time. They are fully licensed and uniformed and strive always to provide the best service possible. Our full uniform mobile security guards can patrol your premises whenever you need them. 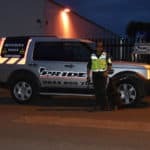 Our mobile patrol service is designed to provide a highly effective deterrent, ideal for those who do not require a constant 24/7 security presence. With Pride GB’s keyholding and alarm response services, you have highly trained staff at your disposal. Our rapid alarm response team can be contacted 24/7 to attend your site and take action accordingly to keep your property safe. Call Pride GB now for more information regarding our security services in Walsall and make sure your premises are protected.